If you want to play Paintball in London/Essex Mayhem paintball is less than 40 minutes on the Central Line tube from Holborn to Theydon Bois station where Mayhem offers a free pick up and return to the station. 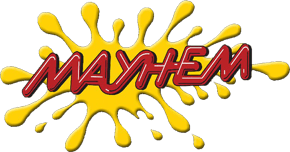 Mayhem Paintballing and Laser Tag have over 20 playing fields indoor and out all themed differently with real tanks, planes, helicopters and more. You can’t beat hiding behind a Real Russian or shooting out of an armoured personnel carrier just like real call of duty. Mayhem Paintballing is very different from your all other paintball site and is regarded as the UK's number one venue. Don’t miss out come to Mayhem London Paintball with our amazing facilities and equipment, private games for customers with over 20 players if they like we guarantee an unforgettable day. If you’re looking for Holborn paintballing, there is no closer and better paintball site than Mayhem. We can pick up from Theydon bois hundreds of players in our minibuses and regularly have schools with 100-200 players via the central line to Theydon bois. For more info call us on 02076005030 or email us.